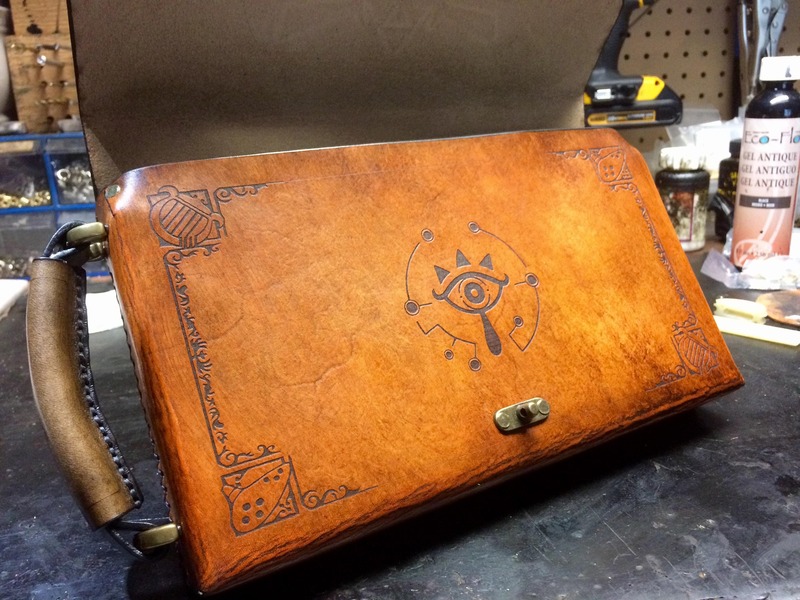 A handmade Leather Zelda Themed Carrying case for your Nintendo Switch. 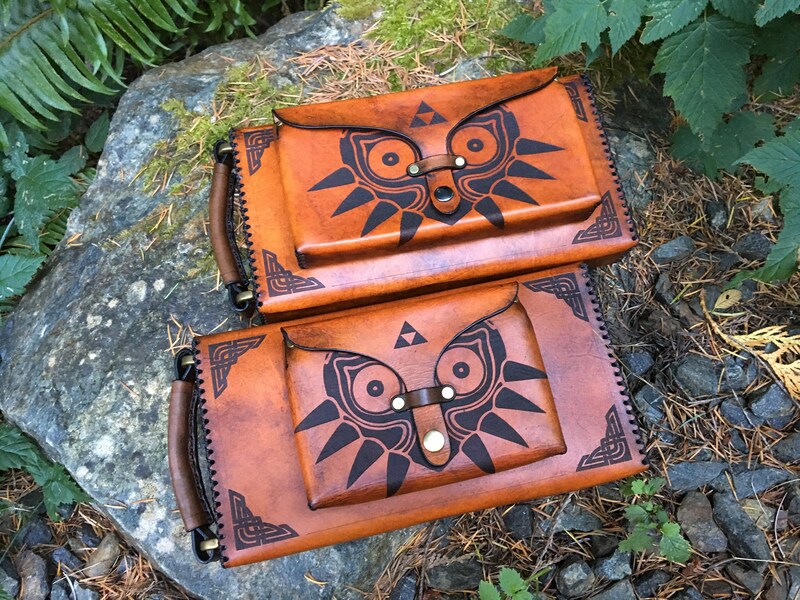 Large enough to have your JoyCons attached to the screen. 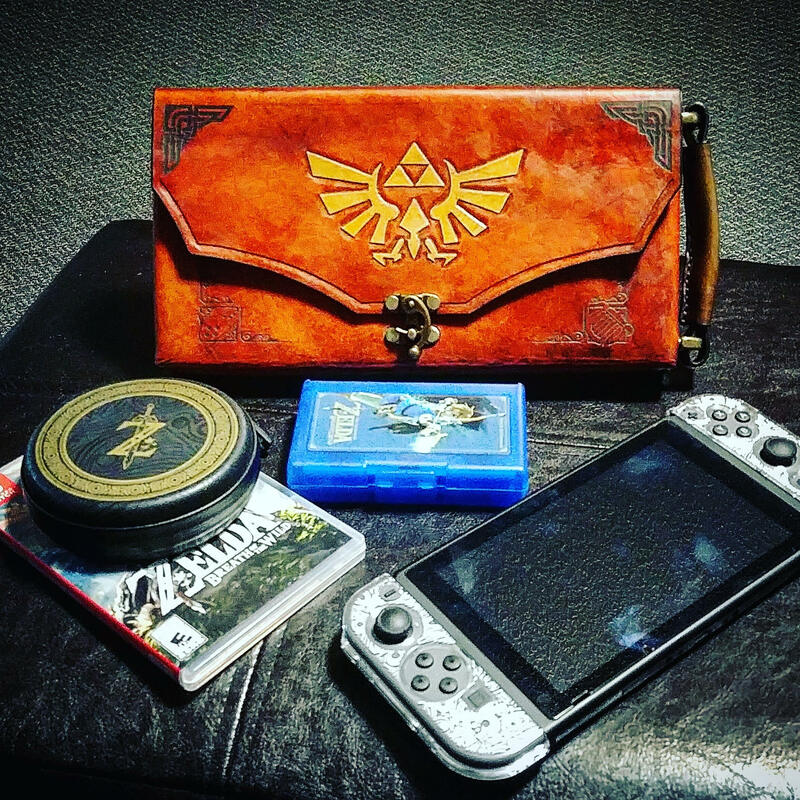 A pouch on the back of the case is large enough to house the charger and a couple games. This beauty is made using 5oz Veg tanned leather, brass rivets, waxed thread, antiqued brass hardware and leather dyes and finishers. 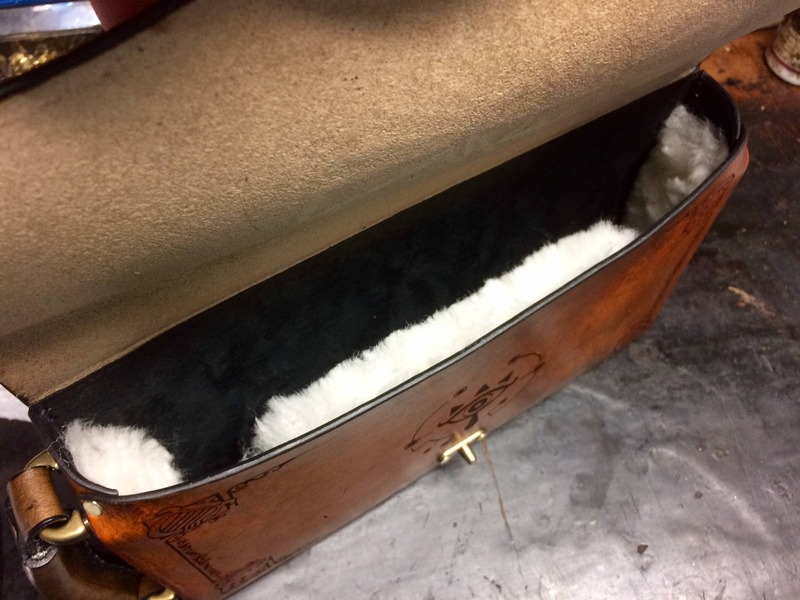 The inside of the case is lined with soft suede and sheep wool to prevent any scratching. The padding also gives it a soft snug fit to keep it from bouncing around to much while on the move. ***New: Upgrade to a larger back pocket (8" instead of 6") to accommodate a larger charger. Weather sealant and water repellent are applied to help preserve it from the elements. Let me know if you have any questions or would like something customized or Modified. I keep all the documentation, transactions, and any information about the sale and shipping. Feel free to ask for any of it and i will gladly email it or mail it. Small packet air mail: Does not include tracking nor insurance. Use at YOUR OWN RISK. I will not be held responsible for lost, stolen or damaged items. Orders being shipped outside of North America Expect to pay duties and taxes upon arrival of the item. This is out of my control. Shipping charges are subject to change, depending on where you live. If the item in question breaks due to my craftsmanship i will gladly fix it. Mail it to me, i will fix it, and mail it back good as new! Or if you want something added to it, i can do that as well! Please be sure you want the item before placing an order. I will not cancel once the order is placed. 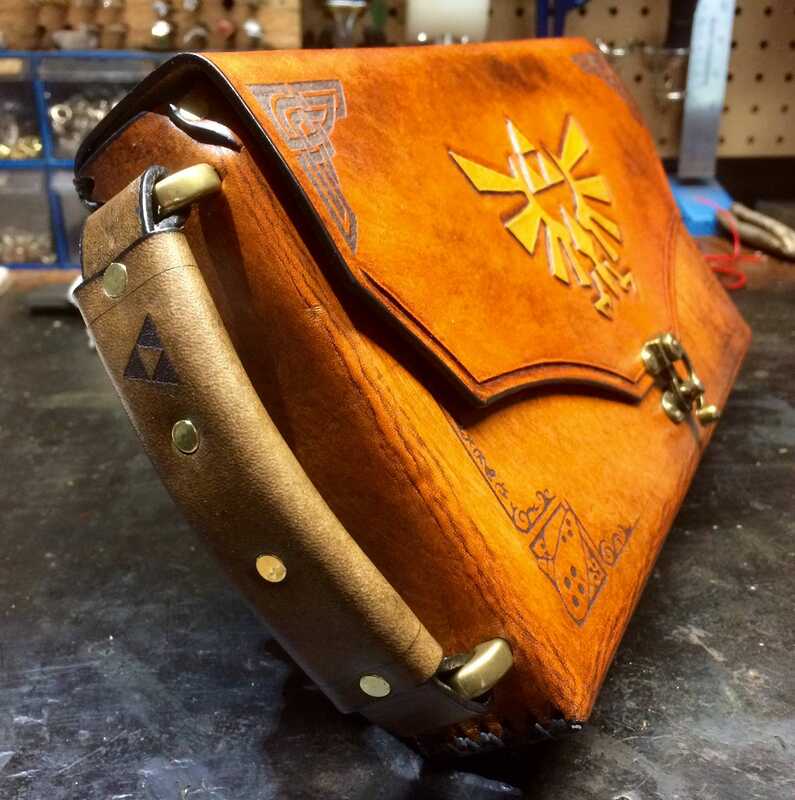 CARING FOR YOUR Leather piece. The leather masks are quite durable. When storing them, keep them in a cool, dry place out of direct sunlight. The worst enemy is water, as the leather will soften and distort when wet, so don't wear them in the rain, in the pool, or in the shower. Heat will dry them out and make the leather crack. No regular maintenance is required. If they become soiled, wipe with a soft cloth. Every couple years apply Minks oil to hydrate the leather. Each piece is made by hand and Per order. It takes time to make and do not have stock of every piece I have listed. Please order ahead of time and be patient. One cannot rush art! 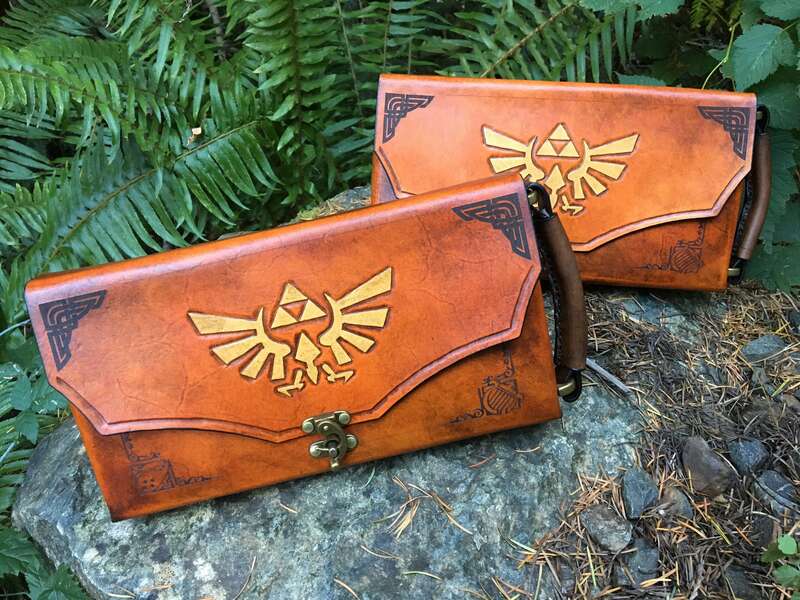 Coupon codes can be used on most items in my shop excluding: gauntlets, armor and all customized items. Amazing work as always. Would buy from again. Awesome!! It’s more wonderful than I expected! I’ll be proud of this to my friends in Japan ! Thank you very much!! 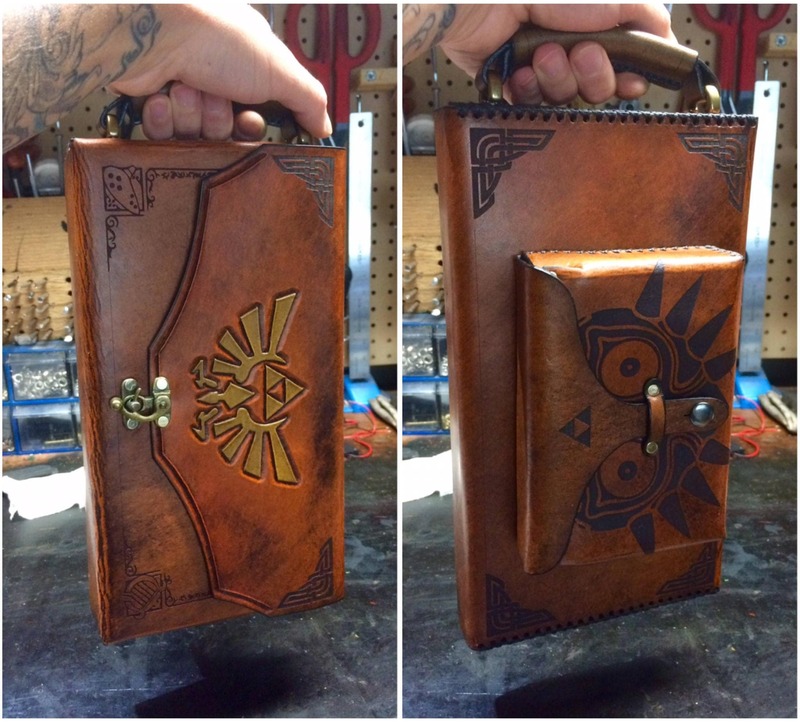 Incredible workmanship! Engravings are absolutely beautiful. Leather grain and pattern are exquisite - gives the pouch an "old world" feel. All closures are very well secured so I don't worry about my Switch or accessories falling out of the case. Handle is perfect size - I have small hands. Larger size pouch holds my AC adapter and HDMI cable. 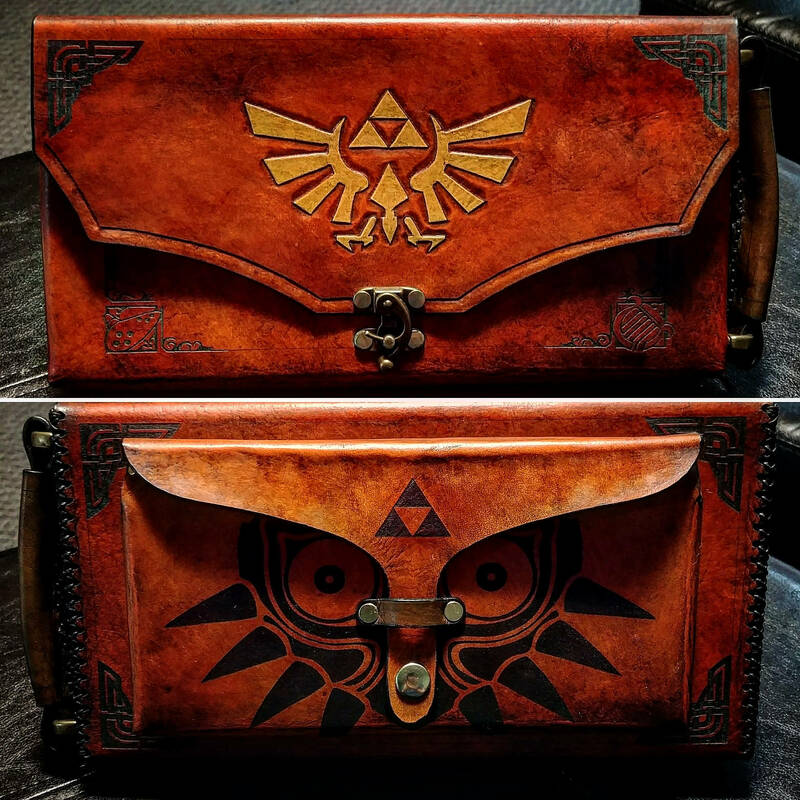 Definitely recommend to everyone looking for a unique case for their Switch! Get this as a gift! 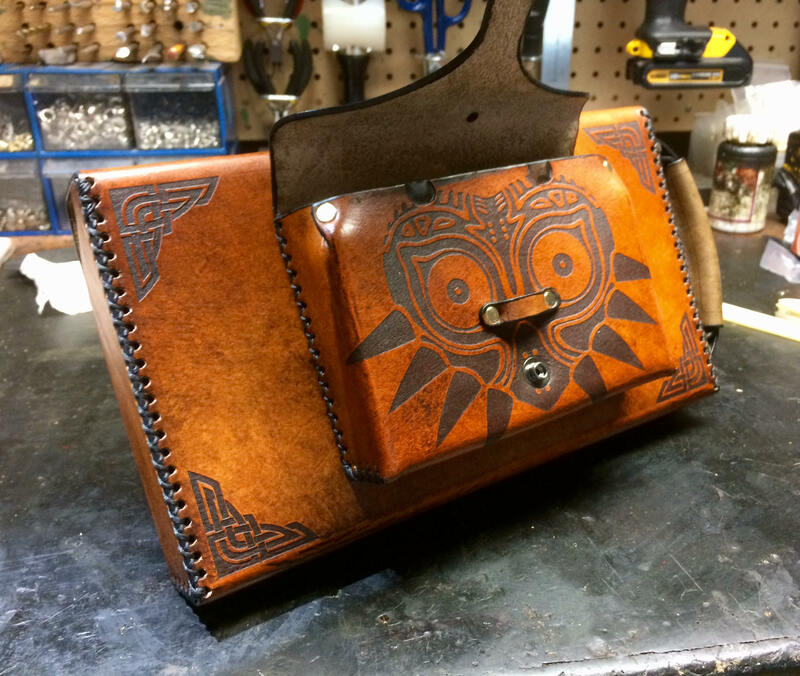 The money and time he took to make this is worth it!